An idea’s been forming in the back of my head for a while: that it should be possible to estimate the amount of 3D filament left on a reel by simply weighing the reel with its filament, and subtracting the reel weight. Sounds simple, no? 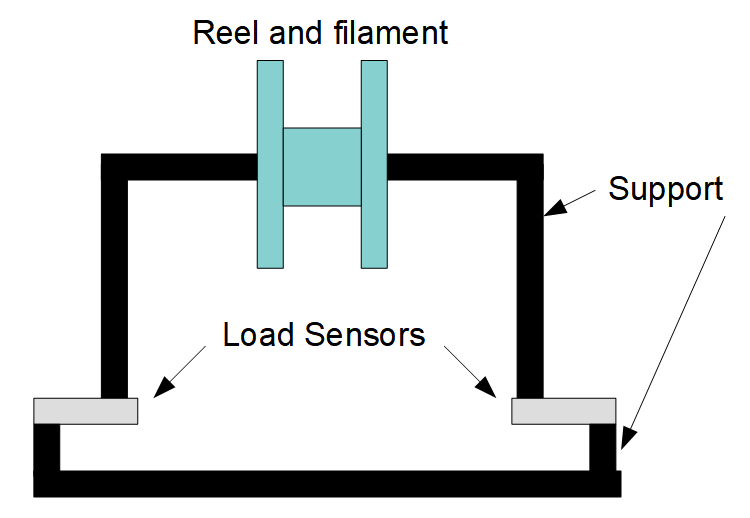 Today I realized that it may be possible to modify a printer to give a live estimate of filament left on the currently-mounted reel, by “live weighing” the reel, and knowing the reel weight and filament density.